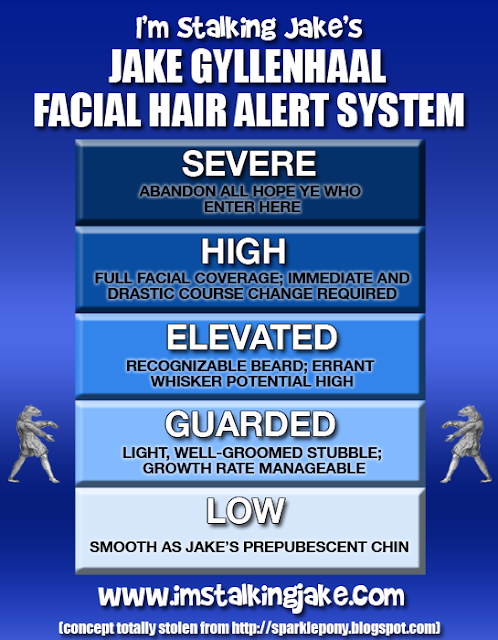 GO FORTH, MY FELLOW JAKE FANS. You know the odds. You know the competition. The enemy must. Be. Destroyed. Also, OMG HAVE FUN! (It's not every day that Jake headlines a Disney blockbuster in the biggest movie market in the world.) I'm so excited! Finally I will learn in what context this photograph was taken! Hooray! P.S. Why the hell did I think it was a good idea to wait until tonight to see this? The midnight showing sold out 2 of the 4 theaters they had by the time I went in at about 11:20. I hope it beats out SATC. The #1 movies lately have been family ones, so I hope this follows that same pattern. Oh, but it's PG-13 isn't it? Dang. I liked the movie. It didn't break into my Top 5, but overall it was a solid movie. Good job, Jake. I don't think there were any midnight showings here. It's not even playing in half the theaters because of SATC, which I find somewhat worrisome...so it's good to hear it was selling out other places! I plan to see PofP in the theater, I just don't know when. Jake oh Jake, please quit under-whelming us! My only real issue I had was the pace. It was like insane action sequences then slam on the brakes for a slow scene then rush back into more crazy action sequences. Over and over again. It was right there where it was almost too much crazy action. It didn't go over, but it came close. Also, it was probably kind of a shock. "Jake the Action Man" is new. I want to see it a couple more times in theatres. My opinion might change. and that is like the HOTTEST picture of Jake ever - and I don't just mean the desert! agency, since they do not get security from the amount being loaned out. not too full-size or inessential furniture into memory. Ƅy so many to so few. 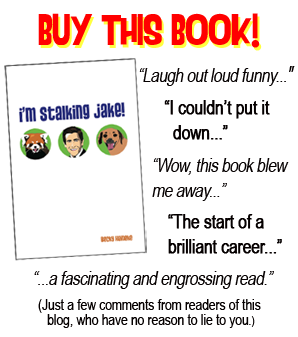 Disclaimer: www.imstalkingjake.com is a blog for entertainment purposes only. 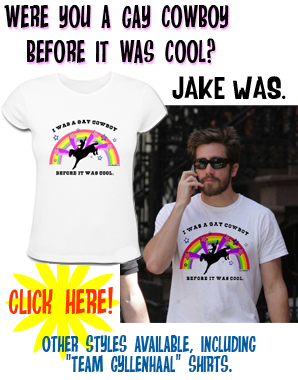 This site is not affiliated with Jake Gyllenhaal. All content copyright © Becky Heineke 2010 - 2012 unless otherwise stated. Do not reproduce without permission.